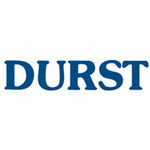 Durst manufacturing makes everything from power transmission products to center pivot accessories. Their mission is to provide their customers with the highest quality components available. In most cases, Durst replacement components meet or exceed the performance of the original part.